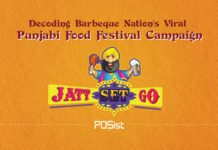 Restaurant Marketing is integral to the success of your restaurant. Everybody realizes that the restaurant business is operations heavy and all-consuming. It is a high-risk investment because, unfortunately, the failure rate in this business is too high. 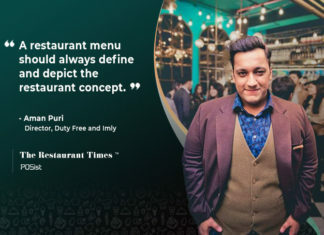 As long as you offer fantastic food, service, and ambiance, people from every corner of the world would love to visit your restaurant and taste every delicacy. However, a lack of understanding & focus on marketing fundamentals could have a negative impact on your entire business in the long run. 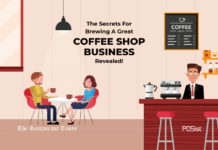 Also, don’t miss out on these zero-budget restaurant marketing ideas that would help you attract customers. Just having a Restaurant Marketing Strategy will not increase your revenues. 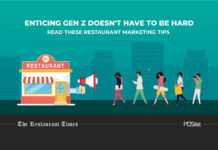 If you don’t do marketing the right way, it can also damage your restaurant. You would lose out on business opportunities and waste your time and resource. All too often, restaurants miss opportunities to get their business in front of hungry diners. With growing competition and increasingly demanding consumers, an effective marketing strategy can mean the difference between success and failure. You put a lot of work into making your restaurant successful. Don’t waste those efforts by making these all-too-common restaurant marketing mistakes mentioned below! For marketing to make an impact on the success of your business, you’re going to have to allocate funds to support it. One of the significant marketing mistakes of restaurant owners is not assigning a decent budget for marketing. Organic Marketing can only take you so far. 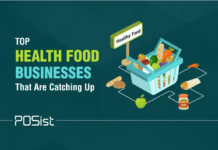 The National Restaurant Association has reported that restaurants typically spend about 3% of monthly revenue on marketing programs. General recommendations usually range from 2 – 10%. 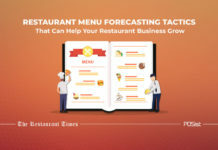 Your marketing budget will vary by business type, but many experts are encouraging restaurateurs to focus on digital and mobile marketing – specifically search engine optimization (SEO), Google My Business, and social media. Unless you delegate the marketing operations to professionals, there are chances that you are merely exhausting yourselves and your budget in the wrong lane. 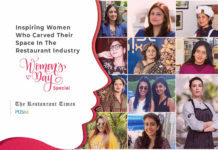 When you allocate a budget for restaurant marketing, you don’t just decide the money spent on paid marketing; you also choose the costs incurred to hire a Marketing Team. Typically, you need a PR Manager, a Social Media Manager, Digital Marketing Manager, and Designer. You can also outsource these tasks to a Marketing Agency depending on your budget. Not taking professional help is the biggest marketing mistake that you can commit. All restaurants should have a social media presence; everyone knows that! However, not everyone can harness the power of Social Media enough. 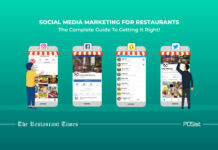 Social channels provide an inside look into your restaurant, helping build relationships and stay top-of-mind with guests. 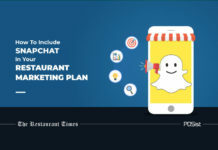 Whether your business is on social media or not, you can guarantee your diners are. Take this opportunity to be part of the conversation. However, just creating a conversational page is not enough, on various occasions, it is visible that restaurant owners commit some severe mistakes while marketing their restaurants on the social media. Top social media marketing blunders that you must avoid are mentioned below. We all use Social Media. And it is a common perception that anyone can handle Social Media Marketing. However, this is far from true. Posting actively on your own Facebook and Instagram page is entirely different from managing the various Social Media accounts of your Restaurant. 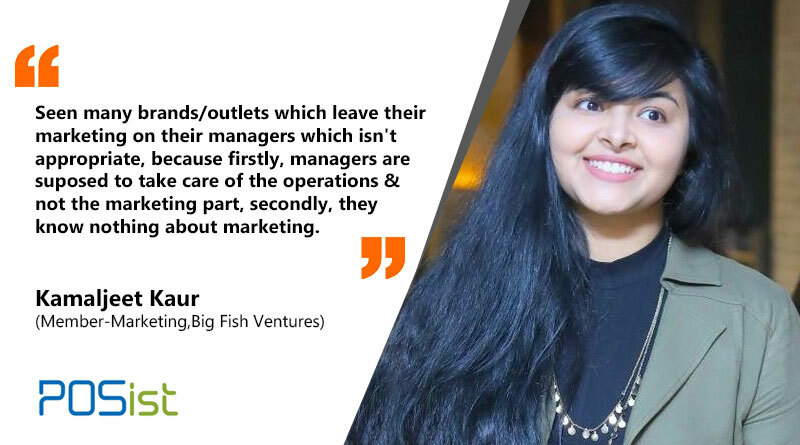 One of the significant restaurant marketing mistakes that restaurant owners commit is hiring an inexperienced person such as an Intern or a Fresher to take care of their Social Media accounts. Often restaurateurs also take it upon themselves to manage the Facebook and Instagram pages. With the vast possibilities of marketing on Social Media such as running paid ads, campaign, and overall restaurant branding, you should have an expert to take care of Social Media Marketing. 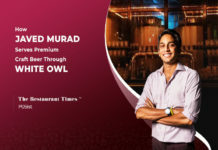 There have been multiple instances of blunders when an intern forgot to switch from the Business Page to their account and posted some inappropriate content. Posting inappropriate content that has nothing to do with your business could confuse your followers, or worse – make them stop following you. Even if you do have young people on the Marketing Team, ensure that a Social Media Manager supervises them. 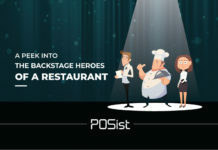 Have you created a social media account to promote your restaurant, but you haven’t visited the page in say, a good long while? If you aren’t posting to your accounts, they aren’t doing you any good. Your followers won’t see your updates, and you won’t attract any new followers. Facebook’s algorithm keeps changing every few days. And if your page isn’t interactive or lacks engagement, chances are your followers will not be able to view your posts at all. While not posting enough to your accounts is a no-no; posting too much can also be a negative trait. It’s great to want to be so active, but if you are adding updates on a constant basis, you may be oversaturating your customers. When you post too much, you essentially spam your followers’ timeline. This results in a high chance of your followers unfollowing or unliking your page. The trick is to maintain a balance between the posts and plan ahead. You should have a Social Media Calendar that outlines your posts, the type, and their timing at least a month in advance. The timing of the posts also plays an essential role in the reach of your posts. Posting at times when most of your followers aren’t online may make your content invisible, which really proves to be a fruitless effort. This article will tell you the most optimum time to post on Social Media. One of the most significant benefits of social media is that it allows you to interact with your customers on a more personal level. This personal exchange helps to make you and your business more real, which can help to increase your success. If you aren’t interacting with your customers, they may feel like you are giving them the cold shoulder. For example, if someone posts a comment (either positive or negative) and you don’t respond to it, you could leave a bad taste in that person’s mouth, which could have a big (negative) impact on your success. Similarly, while running a campaign or a contest on Social Media, you need to be attentive to the comments and queries posted and respond to them accordingly. Facebook also identifies the pages that respond to messages and gives them preference for visibility. Read how you can use Facebook to increase your restaurant’s Customer Engagement here. People who like your page– Target the people who have liked your Restaurant’s Facebook page. These are the people who are most likely to click on your sponsored posts since they chose to like your page in the first place. People who like your page and their friends- Friends of the people who have liked your page tend to have similar interests as them. Since people in the same social circle usually visit the same restaurants, it makes sense to target friends of your followers. Custom Audience based on age, gender, location, and interest– You can choose people who have liked similar Facebook pages and businesses. Custom Audience of your CRM database– You can just upload a list of emails of your customers and show them your ads. Since these are the people who are well aware of your restaurant, they are most likely to engage with online ads. Restaurant Websites are a brilliant way of marketing and delivering the much-needed information to the potential customers. 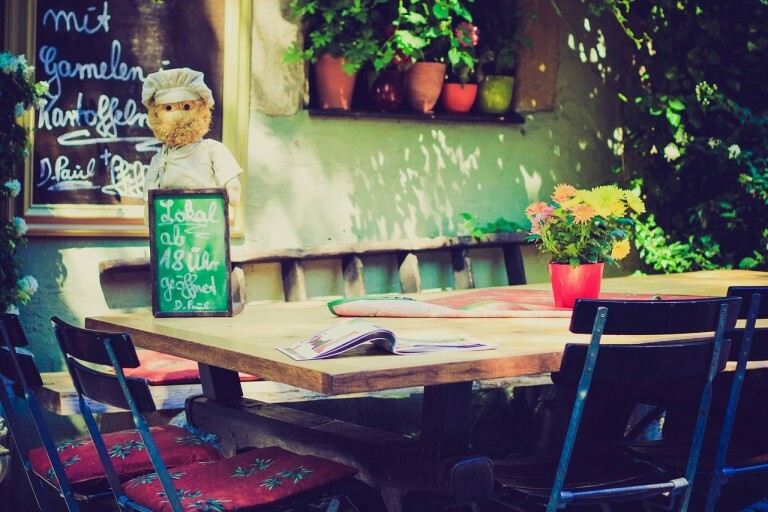 Not having a restaurant website is one of the prime restaurant marketing mistakes. 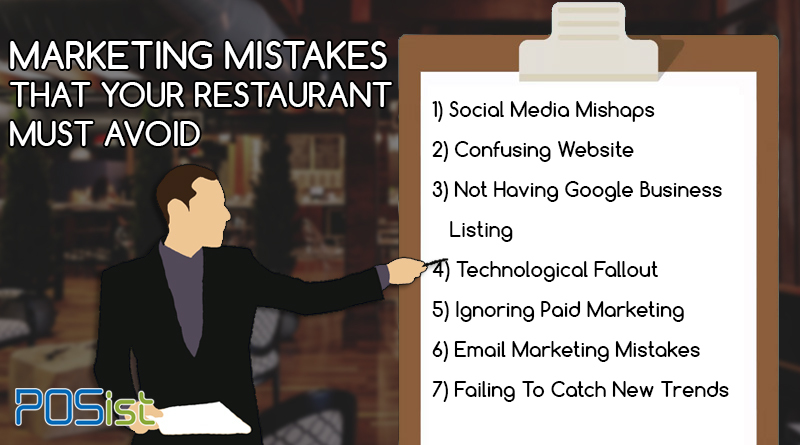 However, even if you do have a website, there are various mistakes that restaurants commit while marketing their restaurants via websites. Well, restaurateurs might think that “responsive” is a new term, but it is not. Having a responsive website has become an integral part of all restaurant business. Responsive sites adapt the size of the screens based on the device it is viewed on; it can be mobile, desktop, tablet or even a TV screen. Since there are so many screen sizes, just having a separate mobile website doesn’t work anymore. Read the importance of a Mobile Optimized Website here. Some restaurants create a website one time, and they never update, or it takes them a year to update hours changes, menu changes and the like. A restaurant should check their website’s accuracy at least once a month. Also, you should have a system in place to carry out website maintenance. If you are not utilizing your restaurant website for Online Ordering, you are losing out on business. Get this; the people who come across your restaurant website are your existing or potential customers. If someone is viewing the menu of your restaurant on your website, you have a high chance of converting them to a buying customer by giving them the option of ordering online. 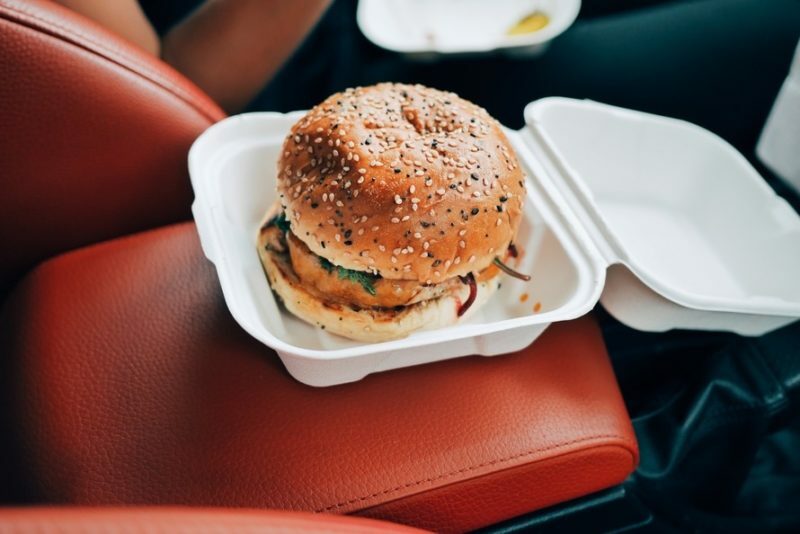 Learn how to master your restaurant’s Online Food Ordering Campaign here. Often restaurants make the fatal mistake of using bad pictures on their website or having no images at all. This only does harm. When a potential customer visits your website, they are window shopping. With food and drinks, you have a powerful motivator in a great image. You need to get a good professional photographer whose photos you review beforehand. Photos have so many usages from your website to social media to local search and are key to your branding. Effective search engine optimization (SEO) does require some technical knowledge, but it will make or break the “discoverability” of your restaurant. With so much search traffic going to Food & Beverage, it’s clear that restaurant websites with optimized keywords will win. Ensure that you have an SEO Specialist in your Marketing team to make your restaurant website climb up higher in the Google ranking. If someone searches “chicken wings beer Denver,” the restaurant’s SEO strategy will determine which restaurant shows up in the search results. If you’re a Colorado-based sports bar, it’s essential that you show up. At the very least, have a conversation with your web designer about it and enjoy the success of SEO optimized website! Google My Business puts your restaurant information on the map, literally. By claiming your business, you can update hours, website, menu, and other crucial data your guests need to know. Google prioritizes these listings and shows them first in search results. A GMB listing ensures that the most critical information (location, phone number, hours, etc.) appears immediately when your business is searched online. This also paves the way to launching targeted local online ads like Google Adwords. Claim your business in Google and make your marketing efforts extract the best possible result! In this excessively tech-savvy time frame, it is no doubt that employing technology in restaurants will be widely accepted by your guests. It will not only smoothen your operations but will also provide enhanced customer experience to your guests. Failing to use technology in your restaurant marketing strategies will lead you to lose on business opportunities. 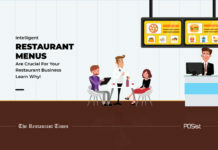 Use restaurant technology as a marketing strategy to attract customers. 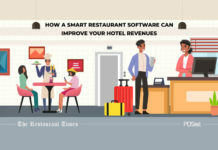 When you employ technology to enhance Customer Experience at your restaurant, you might as well highlight and promote it to give yourself an edge over the other restaurants. 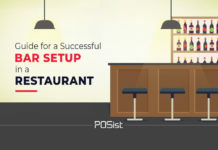 Promote your Online Ordering, Tablet Ordering, Online Table Reservations and the likes on your website and Social Media Pages to attract customers. 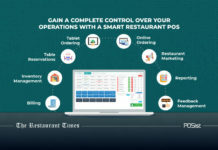 Technology surrounds the restaurant operations, and you will be able o understand this by going through the below-mentioned points. Online Ordering – 85% of home delivery orders are placed via Online Ordering. 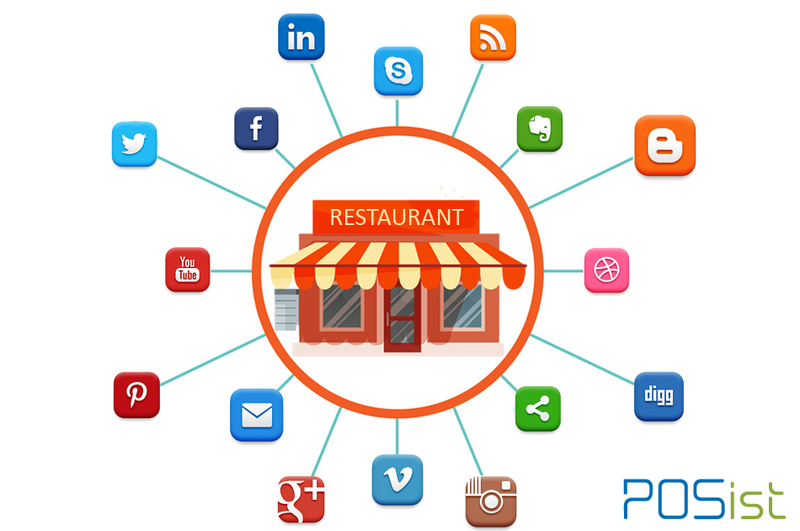 Thus, ensure that you promote your Online Ordering on your restaurant website and Social Media pages. increases the customer delight. This eliminates the risk of errors in order taking and improves the entire guest experience. 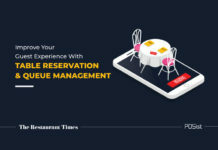 Online Table Reservation—Let your customers decide where they want to sit and reserve their seats beforehand. Integrated Feedback Management– Asking for instant feedback from your customers is a great way to make them feel valued, and also to increase engagement. You can use a Customer Feedback App for this purpose. Ask your customers to give their feedback on a tab through the app. However, most restaurant owners are quick to employ Technology at their restaurant, but often fail to make the best use of it. To effectively manage this technology it is fundamentally vital that your staffs are well versed with the technologies. 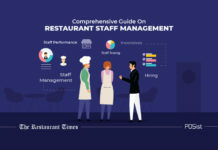 Imagine a customer at your restaurant trying to order from a tablet encounters a problem and he asks for help from a staff who is unaware of the intricacies of the technology used at your restaurant. 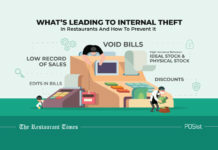 Think about the impression that your restaurant will leave on that customer. Will it be a good one? Definitely not! 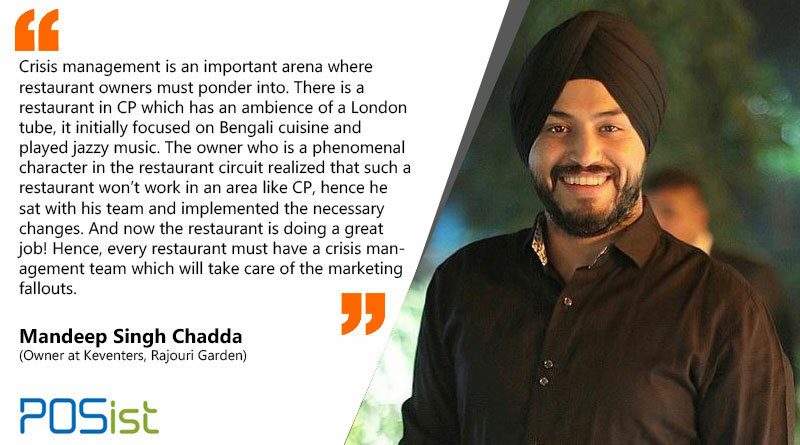 Hence, make sure that all your staff is well equipped with the new integration of the technology at your restaurant. Train them regularly, provide them with a manual which they can refer to in times of casualties. Email marketing is one of the best ways to keep your customers informed about the various new changes implemented and about the latest offers brought in. A mail right in their email inboxes can hardly be ignored. SMS too have a high opening rate and is one of the best ways to engage with your customers. 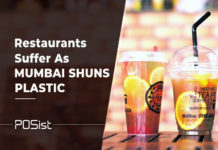 However, even then there are some of the major restaurant marketing mistakes that restaurant owners commit while going ahead with email and SMS marketing. Find out how to ace the Email Marketing Campaign of your restaurant here and learn the tricks of SMS Marketing here. 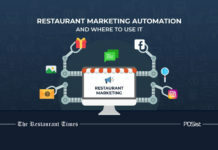 Often restaurant owners and businesses are tempted to purchase the database of consumers from various sources and add them all to their email marketing and SMS marketing database. This is one of the grievous restaurant marketing mistakes you can make. Sending unsolicited emails leaves the customers with a bad taste in their mouths and can also propel them to mark your emails as Spam and also Report Abuse. Over time, this can hamper the Domain of your restaurant’s email id, and prevent it from being sent even to your genuine customers. The same stands true for sending SMS. It is strictly advised to seek permission from your customers before sending them emails and SMS. You can do this through manual or digital Feedback forms, during their registration while Online Ordering, or direct submissions. The main reason that people unsubscribe from emails is that they receive them too frequently. The vast potential value of a customer database is lost if the guest is unsubscribing from your messages. Optimal email timing and frequency will vary by industry. Data suggests that most people are open to receiving promotional emails at least once per month. Try providing different subscription options (i.e., monthly newsletter, weekly discount code) to see which cadence is most popular with your guests. Also, instead of an “unsubscribe” button on emails, send them to a “manage email preferences” page where they can either unsubscribe or switch to a different cadence. One of the significant marketing mistakes that restaurateurs and marketers make in Email and SMS Marketing is omitting Data Segmentation. 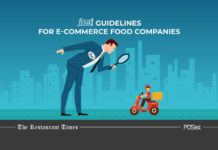 Think about it, all your customers are not the same, and if you send the same email to everyone, without considering their dining habits and profile, you stand at the risk of Spamming. 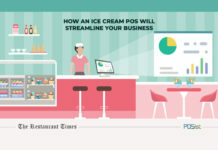 You can segment your customers into buckets based on their ordering history and food preferences. The young generation is always looking for new experiences and thanks to the incredible penetration of the internet, is quick to try out new trends. The Fear of Missing Out (FOMO) is real in the recent times and keeps the Millennials on their feet. Thus, it becomes imperative for you to stay on the lookout for the latest trend in the market and piggyback on it to attract customers. For example, when the craze for Pokémon Go had hit the world quite hard, with everyone trying to catch the Pocket Monsters through their smartphones. Many businesses were quick to cash in on this. While some promoted their restaurant as the venue of rare Pokémon, smart marketers were quick to introduce Pokémon themed menu items. Read about the top restaurant trends of 2017 here. It is also essential for restaurants to have a Crisis Management Team that deals with sudden or long-term crisis. 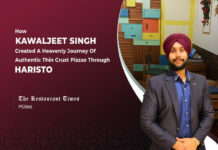 Crisis can be anything; from sudden bad publicity or a need to change the look and feel of the restaurant if the current business model is not working out. 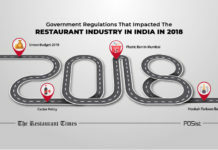 Often restaurateurs make the mistake of acting too little or too late in case of such a crisis and is one of the biggest restaurant marketing mistakes. 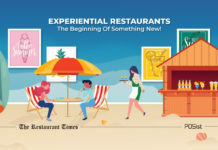 Restaurant Marketing is integral to a restaurant’s success. However, if not done the right way it can turn out to be more of an overhead than a resource. 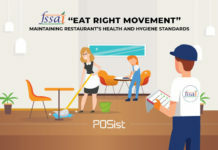 After going the various marketing mistakes that restaurant owners commit we hope you take back the ‘never to do’s’ while marketing for your restaurant and reap the rewards!